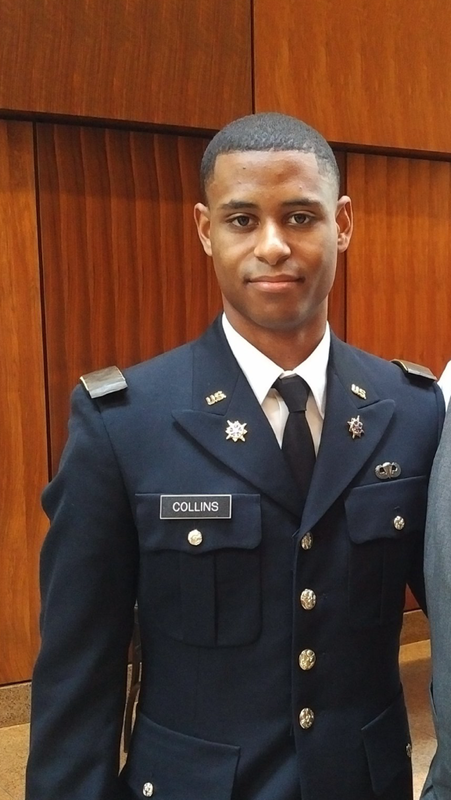 Richard Collins III (right), a student at Bowie State University and a recently commissioned U.S. Army second lieutenant, was stabbed to death on Saturday just days before his graduation. Police have described the attack on Collins, who was black, as “unprovoked.” Although the suspect was white, initially there was no indication of a racial factor. The man then stabbed Collins in the chest, police said. Sean Christopher Urbanski, a University of Maryland student, was later arrested nearby and charged with first-degree murder. Police and university officials later announced that the slaying may have been racially motivated, as Urbanski was a member of a Facebook group called “Alt-Reich Nation,” where people shared racist memes. The group has since been shuttered. The Federal Bureau of Investigation is now investigating Collins’s death as a hate crime. And minority students at Maryland say they feel shocked and unsafe after the attack. In interviews, they said the University of Maryland hasn’t adequately responded to racially motivated incidents in the past and the fatal stabbing shows a significant need for reforms. Some have downplayed the severity of the Facebook group Urbanski belonged to, noting that even though the posts were racist, many seemed more like poor (and offensive) jokes than threats. Some experts said that doesn't mean there isn't real hate behind the group. Many extremists do not join a more “official” white supremacist forum online, said Oren Segal, the Anti-Defamation League’s director of the Center on Extremism. The Reverend Darryl Godlock, of the Calvert County Baptist Church, acting as a spokesman for Collins’s family, said everyone is devastated. Collins was a calm and intelligent young man who was eager to follow his father into the military, Godlock said. The family hasn’t speculated much on the possible racist links -- family members just want what they can't get, which is their son back, he said. Adams, the president of the Black Student Union, learned of Collins’s death through a series of university alerts. Though she said incidents regularly happen on the campus, such a bloody display of possible racism has called into question whether students of color feel safe there. University officials responded with a request for comment with a statement signed by multiple campus offices listing resources for students. In addition to meetings on Tuesday and Thursday, Maryland has scheduled drop-by counseling hours this week. Loh released a statement Sunday that said the university would beef up campus police presence. “However, increased police security is not sufficient. We must all do more to nurture a climate -- on campus and beyond -- where we stand against hate, we fight against hate crimes and we reaffirm the values that define us a university and as a democracy,” the statement reads. Urbanski remains in jail. His lawyer told reporters  Monday that substance abuse may have played a role in what happened. Institutions must make special effort to publicize their actions to combat racism, said Kevin Kruger, president of NASPA: Student Affairs Administrators in Higher Education. Students and critics will often take to social media to vent concerns, Kruger said -- and so academe must do the same, an essential strategy in telling a college's story, he said. The contemporary political climate, with polarization largely spawned by the presidential election cycle, has provided those with extremist and abhorrent views a platform, particularly on social media, Kruger said. “I’m not sure students take university intention at face value -- they want to see action against this,” he said. Ashley Vasquez, a student speaking as a representative of ProtectUMD, a coalition representing minority groups on campus, said Collins’s death was “the last straw” in a series of incidents over the last year. Right now, students are treading carefully considering the campus sensitivity, Vasquez said. This wasn’t white supremacist posters being hung up, or an email tinged with racism that was forwarded around (both of which have occurred at Maryland) -- someone lost his life, she said. But for the future, the students want to plan more town halls with administration and see the hiring of a new chief diversity officer, a vacant position, Vasquez said. Vasquez in her interview called for increased funding to establish more channels to report incidents. Multiple times this academic year, posters espousing white supremacist views have cropped up on the University of Maryland campus. A noose was also found in the Phi Kappa Tau fraternity house. In many of the cases seen nationwide, white nationalist materials have been spread by off-campus, unaffiliated organizations that seek to infiltrate college campuses . Few of the extremists who receive media attention actually attend the colleges and universities they target. Vasquez said she attended a graduation party of mostly black students in May 2016 that was subject to a weeks-long investigation to unearth whether police, while breaking up the party, acted improperly in pepper spraying students, an incident that hinted at a racial bias . Students who had been denied access to the party fabricated a story of a fight in the apartment where the party was being held. Police entered the apartment and shut the party down, but one of the officers used pepper spray when some students didn’t disperse around him. Some students were also arrested, but the charges were dropped. The officer was suspended without pay for wrongly using his pepper spray. Most colleges and university presidents have replied clearly and well to incidents of white supremacy on their campuses: these views do not match the values of the institution, said Segal of the Anti-Defamation League. Leaders should address these matters swiftly because they color a student’s experience for the remainder of their time on campus, Segal said.